By: Laura B. Conway, Esq. There is an old saying that an ounce of prevention is worth a pound of cure. This saying is sometimes forgotten by business owner – especially when looking at the cost of hiring an attorney. 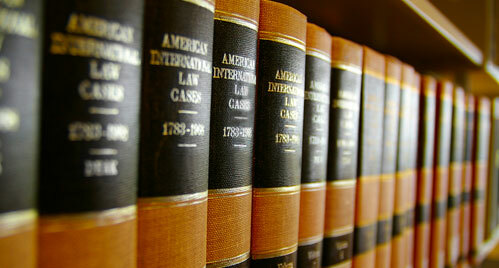 Attorneys are a necessity in today’s business environment. No business would operate without insurance. But many businesses choose to operate without obtaining the advice of an attorney. It is only when something happens, such as a lawsuit, notice that the business has violated some regulation or the other party to a contract fails to keep up their end of the deal that the lawyer is called. By that time though, it is usually too late to prevent the problem and the lawyer comes in at a point where they are required to cure the issue. Attorneys are like insurance in that they know the various issues that can arise with a business and can help a business owner prevent a problem. Every business is regulated by some law, whether it is a local, state or federal law. The laws and regulations govern everything from how your pay your employees to how your dispose of any hazardous materials. No business is immune from government intervention. Attorneys can help a business navigate the various laws and regulations and come up with a plan to prevent the various penalties that can come from a violation of those laws and regulations. Contracts are also part of every business. These contracts can range from one year cell phone contracts to ten year leases for offices space to the invoices that the business sends to its customers. Though not all contracts require attorney review, each business owner should consult with their attorney to determine what kinds of contract should be reviewed by an attorney. Various issues can develop with employees, including, but not limited to, discrimination claims, workers compensation claims, unlawful firing claims, and wage disputes. Have a good employee manual and keeping good records of matters regarding your employees are two measures that will go a long way in preventing and/or helping with problems that may occur. The employee manual serves two main purposes. First, it serves as a guideline for new and existing employees as to the expectations for their behavior and as to the businesses policies. Employees will not have the ability to claim they did not know what the rules were when the rules are printed in an employee manual that each employee is required to review and sign. Second, the employee manual serves as evidence of the businesses policies if there is a later claim for discrimination or unlawful firing. Good record keeping helps in preventing and defending against claims of discrimination and unlawful firing. Having a record of when an employee was disciplined and the result of the discipline conversion will go a long way in preventing a claim for discrimination or unlawful firing. Records as to the hours of your employees will help in a defense against a wage claim by both the government and by an ex-employee. An attorney can help a business owner develop the employee manual and guide the business as to what kinds of records to keep regarding employee matters. Finding the customers is only half the battle with a business. The second half is collecting the money that is owed by the customers. Given the nature of some businesses and today’s economy, sometimes a business does not have the ability to collect all the funds for their goods or services up front. Unless a business collects all its funds up front, it needs to have a solid contract that allows for the collection of interest and attorneys fees in the event the customer does not pay what is owed after the goods or services are provided Also helpful is having consistent collection practices; including credit checks before providing credit to customers, taking deposits on orders over a certain amount, requiring guaranties from individuals when the customer is a business and refusing future orders until past due invoices are paid. Not every strategy will work for every business, therefore, these and other collection strategies should be discussed with an attorney. When a business does have to collect past due amounts from its customers, having information such as the bank account and social security or EIN numbers is important. The information will make it easier to collect on any judgment obtained. Have a lawyer review the contracts and provide guidance as to the information is needed from customers is critical in allowing a business to stay on top of its receivables. Every business needs space to function, whether it be the owners extra bedroom, an office suite, or a standalone manufacturing facility with multiple buildings and acreage. Whatever space the business is in, it needs to have its attorney review any lease or purchase agreement it enters into with third parties. For leases, the attorneys’ job is to make sure the business understands the lease it is entering into and the various areas of the lease that may cause trouble for the businesses, such as business hour requirements and extra costs that may be due to the landlord. If the business is purchasing or selling a building, one of the attorneys’ roles is to make sure the liability of the business is limited in the event there is an issue with the property at a later date. The attorney can also help the business owner determine what inspections and other items are necessary. In almost every situation, the money spent by a business in having the attorney help it prior to there being a problem will be paid back in the peace of mind gained and the issues that will be prevented in the future. The attorneys at Thrasher Buschmann & Voelkel, P.C. provide the services discussed in this article as well as well as defense of various claims, collection of past due amounts, and defense against governmental claims.